We have been working hard to update all of the trim in the house. 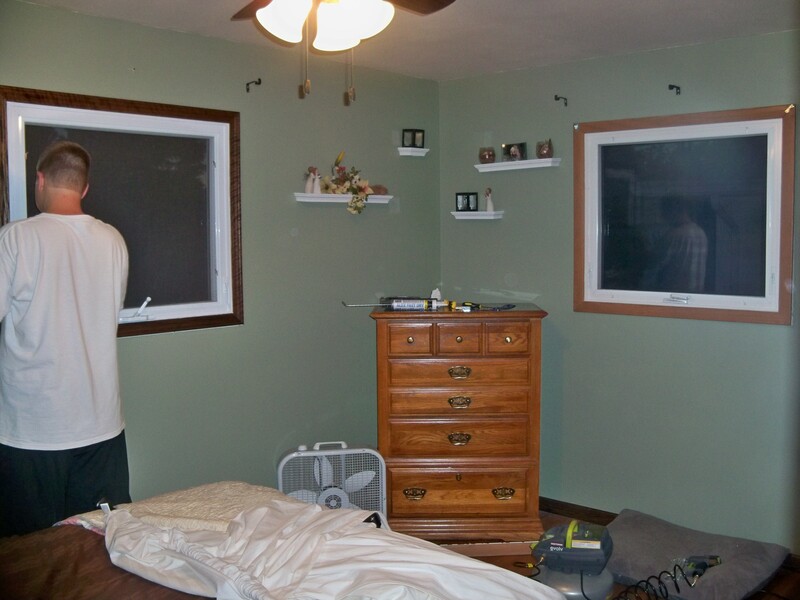 I removed most of the trim and was responsible for sanding and staining the new trim. J was responsible for cutting and installing the new trim. All in all, I think we had a nice set-up and we probably split the jobs pretty evenly. Plus, J is a perfectionist, where I like to get the most done as possible in a given amount of time (which doesn’t jive well with precision). Our division of responsibility let us both work with our strengths :). We have changed out all of the window trim in the house. I think this picture gives a great side-by-side comparison.